Abraham Maslow was right: Once we have food and shelter — but before we can seek self-actualization — we must feel safety, belonging, and mattering. Without these three essential keys a person cannot perform, innovate, be emotionally engaged, agree, or move forward. Safety, belonging, and mattering are essential to your brain and your ability to perform at work, at home, and in life overall. The more we have of them the greater the success of the company, the relationship, the family, the team, the individual. In every communication, in every conflict, we are subconsciously either reinforcing or begging for safety, belonging, mattering or a combination. It’s neurological… it’s primal… there is nothing you can do to override or change this subterranean subconscious programming as much as you may try. Safety means we can take risks emotionally, intellectually, and physically in order to stretch and grow. Is it safe to take risks at your company? Belonging means we all feel connected, like a tight-knit tribe, we’re all equal, and we’re rowing in the same direction to reach our goals. Think about gangs — where people will literally kill to stay in the tribe. That’s how powerful this stuff is. Mattering means each of us contributes individually in a unique way. We are valuable and are making a difference. We’re appreciated and publicly acknowledged. Does your company culture work this way? Let’s do a quick quiz. For each behavior below, what is the person craving? What do you think? 1. Safety, 2. Belonging, 3. Mattering, 4. Mattering. Sure, 1-4 could crave all three, but it’s helpful to look at what is most essential, and then to provide that. You’ll get results faster. As a leader you must identify whether it is safety, belonging, or mattering that is most important to the people in your life, and then do everything you can to satisfy that subterranean, subconscious need. “What if.” When you use this preface to an idea/suggestion, you remove ego and reduce emotion. You’re curious — not forcing a position, but scratching your head and pondering. This enables someone to brainstorm more easily with you. “I need your help.” We call this a “dom-sub swap.” When the dominant person uses it, they enroll and engage the subordinate person resulting in a temporary transfer of power. This is especially effective when you want a person to change their behavior or take on more responsibility. “Would it be helpful if.” When someone is in fight/flight/freeze, use this phrase to offer a solution. This will help them to shift focus from the problem to a possible course of action or positive outcome. Do you see how all three reinforce safety, belonging, mattering? Every employee, every family member, can be happier and more effective if you simply identify which of these three needs are programmed into their subconscious so powerfully that they literally crave them. Which do you crave? 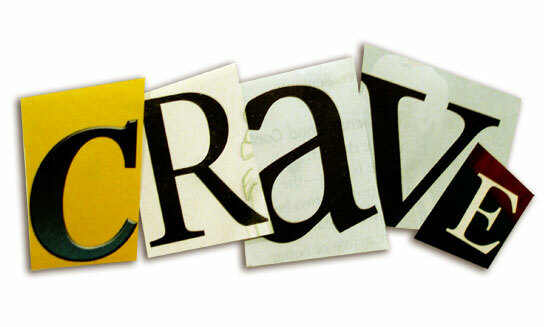 Which do the most important people in your life crave?